ZF has worked for many years in various initiatives to increase public awareness about the dangers of road traffic. A safety campaign in India is directed at tomorrow's drivers: children. Face-to-face action. Friederike Pater studied journalism and writes – not only about the automotive – tech trends of tomorrow. On her travels she collects impressions from all over the world and gets inspired to new stories. What things do parents do wrong on the road? "My mother uses her phone while she's driving", says the little girl in the blue school uniform with a plaid blouse. Her classmate adds shyly: "And my dad drives over red lights." The two belong to a group of Indian primary school children who today are listening closely to Parth Kohli. The young man has been working as a trainee at ZF India since November 2017. But today, together with a few colleagues, he is acting as a volunteer traffic trainer at the Heritage International School in Pune, supporting the Safety Bunny Campaign. ZF has been conducting this campaign successfully in China since 2008. Last year, it was expanded to the Indian cities of Chennai, Coimbatore, Pune and Hyderabad. The campaign objective is to educate some 10,000 kindergarten and schoolchildren aged between five and ten about the dangers of road traffic through play, and to teach them the basics of correct behavior. The campaign mascot is the Safety Bunny, a white rabbit dressed in blue with the ZF logo on his chest and oversized red glasses on his nose. As one of the world's largest suppliers of active and passive safety technology for vehicles, the ZF Group is committed to anchoring and promoting the issue of road safety in every society. The methods used include the Safety Bunny Campaign as well as collective initiatives like "Stop the Crash" together with other partners interested in road safety. In both cases, it's about educating and raising awareness to reduce accidents and therefore the numbers of injuries and fatalities. This approach is in line with ZF's Vision Zero and the values the company stands for. Included here are both the Zero Emissions and the Zero Accidents visions. of road traffic fatalities in India are children under the age of 18 according to the Indian National Crime Records Bureau (NCRB). That's a shockingly high proportion. Suresh KV, the President of ZF India, illustrates how important it is to increase road safety through various activities by naming two shocking statistics: "In India more than 150,000 people die on the roads every year. That's eleven percent of the total worldwide. Every day, 43 children die in road accidents here." 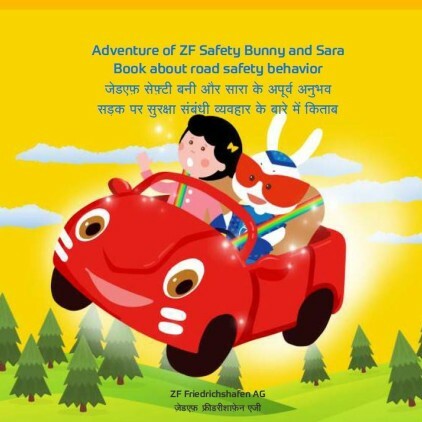 The Safety Bunny campaign has two targets: as the weakest participants, children should learn at an early age how to behave properly in road traffic – both as pedestrians and as passengers in cars or on motorbikes. And at the same time, they should become ambassadors for road safety with their parents, because adults are often poor role models. The idea of starting road safety education with the youngest participants is designed to trigger a change of attitude in society as a whole in the medium and long term. 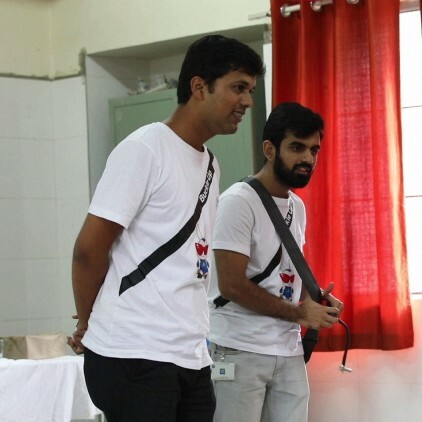 Have fun teaching the youngest road users how to behave correctly as pedestrians or passengers: Parth Kohli (r.) and his colleague Rohan Patil. Group of employees from the Safety Bunny campaign in front of a school class. Of course, the children at the Heritage International School know nothing about these sophisticated strategies and wouldn't care about them anyway. They simply have a lot of fun coloring in pictures of traffic lights to show the correct signal sequences, trying out how to use seatbelts properly, putting on bike helmets correctly and learning the most important traffic signs. The Safety Bunny helps them get all this right with wild gesticulations. Inside the rabbit costume is a ZF employee prepared to sweat for the good cause. ZF employee Parth Kohli explains the correct use of the seat belt to a little girl. The children can take home books, stickers or USB flash drives with videos that remind them of what they've learned. ZF also offers information material that parents can download for free. At the end of the fun road traffic training day, the children don't want to let the bunny mascot with the sunglasses go. Parth Kohli is happy and praises the class for joining in so well. The children are just as proud of their new knowledge, and to finish off, they all chorus "I'm a Road Safety Champion!" In addition to a purely English version, teaching materials are also available in the national languages Tamil or Hindi. 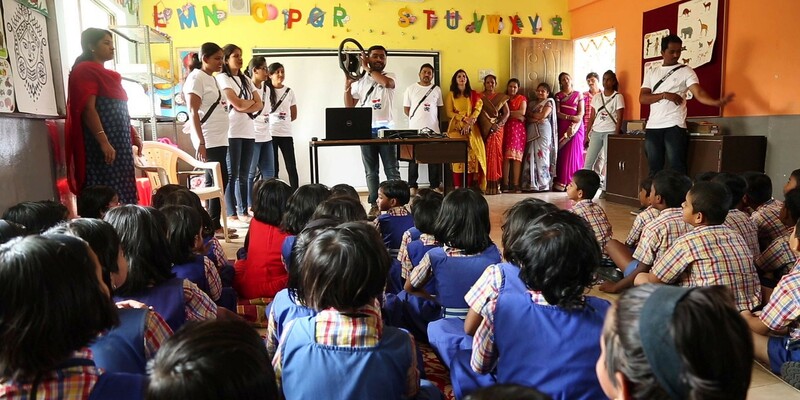 On behalf of many of her colleagues, Dr. Gaitri Jadhav, Director of the Priyadarshani Group of Schools in Pune says: "We're really happy that the Safety Bunny Campaign is helping us educate the children. After all, the generation of today's five to ten-year-olds will change society." Experience the Safety Bunny in action. Click here to watch the video about the campaign. Raising awareness about road safety among politicians, the media and technical specialists is the objective of the "Stop the Crash" partnership launched by Global NCAP. Global NCAP is an international consumer protection organization dedicated to boosting road safety worldwide. The core concept behind "Stop the Crash" is increasing awareness of the potentials of active safety technology, above all in the emerging economies. The initiative also aims to influence political decisions on the regulated use of these lifesaving technologies. "Stop the Crash" regularly demonstrates at events around the world how accident-prevention steps work. The initiators are particularly keen to ensure the availability and usefulness of these technologies on the respective markets. Starting out from the individual safety level of each country, the goal is to gradually increase the standard with safety technology and also to anchor improvements in legislation. Examples of this technical approach to more traffic safety are collision avoidance assistants and electronic systems for stability control in cars as well as antilock braking systems for motorcycles. "Stop the Crash" demonstrations take place several times a year all around the world. To turn ZF's Zero Accidents vision into reality one day, it will take both initiatives based on technical solutions as well as efforts to change people's behavior. In most European countries, fastening your seatbelt when you get into the car is just as routine as checking the rear-view mirror before pulling out. While almost 100 percent of drivers in Germany or Sweden buckle up, the quota in India is just 25 percent. The World Health Organization (WHO) determined this figure in 2015; and last year a study by Maruti Suzuki India Limited confirmed it. This is one factor responsible for the exceptionally high number of road accident fatalities: more than 150,000 in 2016! Put another way, 17 people die on India's roads every hour. The government of India, which is set to be the world's third-largest automobile market, has recognized the problem and formulated the target of halving accident numbers by 2020. There are also dangerous gaps in the law which need to be closed. For example, India currently has no regulations for restraining systems or children's safety seats in cars. You can find more information about this topic at the website of ZF India . India has a high demand for mobility, especially environmentally friendly mobility. ZF has the appropriate solutions, which the company is adapting to the special requirements at its locations in the country.